Dual Port Fire-i™ board camera is a new version in which the daughterboard that hosts the second firewire port has been eliminated and instead the two firewire ports are now soldered on the main camera body. 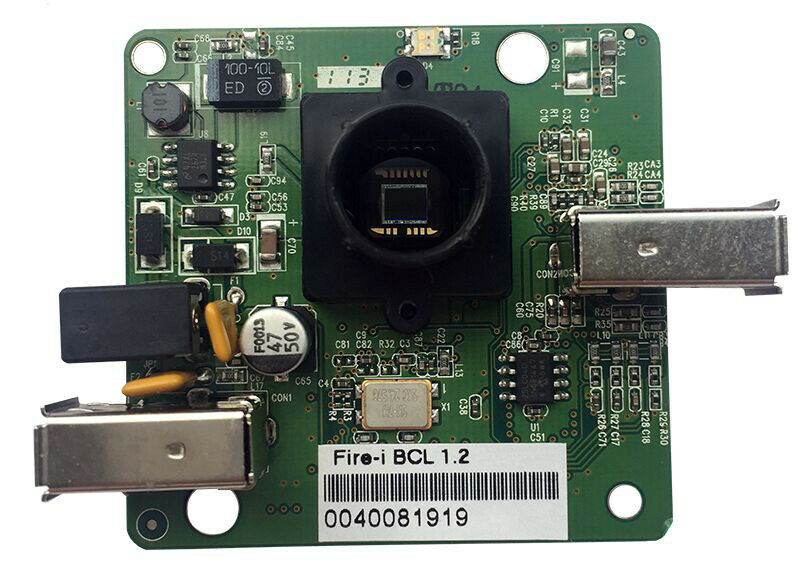 The Dual Port Fire-i™ board camera is available in color version. It may also be available in b/w version under special request. Please contact us for further information.